Buddha-nature (originally in Sanskrit, «Buddha-dhatu» — «Buddha Element», «Buddha-Principle») is a doctrine important for many schools of Mahayana Buddhism. The Buddha-nature («Buddha-dhatu») is taught to be a truly real eternal potential or principle, present in all sentient beings, for awakening and becoming Enlightened. The Buddha-nature doctrine relates to the possession by sentient beings of the innate buddha-mind or buddha-element («Buddha-dhatu»), which is, prior to the full attainment of buddhahood, not fully actualized, or at least not clearly seen and known in its full radiance. Buddha-nature is considered incorruptible, uncreated, and indestructible. It is eternal Nirvana indwelling Samsara, and thus opens up the immanent possibility of Liberation from all suffering and impermanence. The development of the Buddha-nature doctrine is closely related to that of tathagatagarbha (Sanskrit: «womb of the thus-come one»), which the Buddha of the «Anunatva-Apurnatva-Nirdesa» sutra links to the «Dharmadhatu» (true, unfabricated essence of all phenomena) and essential being, stating: «What I call ‘be-ing’ is just a different name for this permanent, stable, pure and unchanging refuge that is free from arising and cessation, the inconceivable pure Dharmadhatu.» This eternal refuge of the Dharmadhatu/Buddha-dhatu (transcendentally void of all that is contingent and productive of suffering) is equated in the «Mahayana Mahaparinirvana Sutra» with Buddhic Knowledge («jnana»), which perceives both non-Self and the Self, Emptiness («sunyata») and non-Emptiness, where (according to the Buddha of the «Mahayana Mahaparinirvana Sutra«) «the Empty is the totality of Samsara and the non-Empty is Great Nirvana». Buddha-nature is not at all accepted by Theravada Buddhism and was not universally accepted in Indian Mahayana, but did become a cornerstone of East Asian Buddhist soteriological thought in terms of the essence-function paradigm or of a vision of an ultimate, undying Buddhic Element within all beings, as explained in texts such as the Tathagatagarbha Sutra, the «Mahayana Mahaparinirvana Sutra«, and the Buddha-nature Treatise. The Buddha-nature doctrine may be traced back in part to the abhidharmic debate over metaphysics, which arose among the Nikaya schools as they attempted to reconcile various perceived problems, including how to integrate the doctrine of anatta, which stipulates that there is no underlying self, with Buddhist psychology (i.e., what is the subject of karma, suffering, etc. ; how do these processes occur) and soteriology (what is the subject of enlightenment; (how) does enlightement occur?). Debates between different Nikaya schools at this time provided a context for the later origination of the Mahayana and Mahayana concepts. The concept of «seeds» espoused by the Sautrantikas in debate with the Sarvastivadins over the metaphysical status of dharmas is a precursor to the store-consciousness of the Yogacara school and the tathagatagarbha (Gethin, p.222), the latter of which is closely related to Buddha-nature and the former of which is identified with it in Yogacara. (Gethin, p. 252). However, in the Mahayana version of the Mahaparinirvana Sutra, which is one of the most substantialist interpretations of Buddha-nature, (Gethin, p. 252) Tathagatagarbha is equated with Atman in, for some, direct contradiction of the Buddhist doctrine of anatman and is actually spoken of as an inner Reality which «nurtures/sustains» the being. The Sutra contains many Hindu elements and is thought to have been composed during the Gupta Period which coincided with a Hindu revival in India. The «Mahayana Mahaparinirvana Sutra» is, however, generally accepted by Mahayana Buddhists as genuine «Buddha-word» and is not alone amongst Mahayana sutras in asserting the reality of an essential Self within each sentient being (including animals) and linking it to the Tathagatagarbha/Buddha-dhatu. Other sutras which mention the Self in a very affirmative manner include the Srimala Sutra, the Lankavatara Sutra (in the «Sagathakam» chapter — e.g.»The Self characterised with purity is the state of Self-realisation; this is the Tathagata-garbha, which does not belong to the realm of the theorisers»), the Shurangama Sutra and the Mahavairocana Sutra (this list is by no means exhaustive). The teaching on the Self which is attributed to the Buddha in the «Mahayana Mahaparinirvana Sutra» insists upon the True Self’s ultimacy, sovereignty and immortality. The Buddha states (in the Tibetan version of the Sutra): «all phenomena are not non-Self: the Self is Reality(«tattva»), the Self is eternal («nitya»), the Self is virtue («guna»), the Self is everlasting («shasvata»), the Self is stable («dhruva»), and the Self is peace («siva»)». In the Chinese versions of the Sutra, the Self is also characterised as «autonomous/sovereign» («aishvarya»). The main concern in the «Mahaparinirvana Sutra» in contrasting this doctrine of the Self with that of the Astikas seems to have been to remove the reifying notion that the Self was a little person, the size of a grain of rice or of one’s thumb, sitting in the heart of the being. This, the Buddha says, is a misconception of the nature of Self. The Self of which the Buddha speaks is said by him to be the «essential/intrinsic being» («svabhava») or even «life-essence» («jivaka») of each person, and this essential being is none other than the Buddha himself — «radiantly luminous» and «as indestructible as a diamond». Thus, while there certainly are distinctions between the Brahmanist/Hindu notion of Self and that of even the most essentialist version of Buddha-nature, there are similarities too. 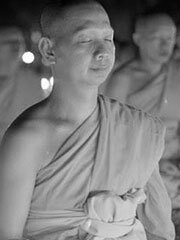 What is certain is that to assert categorically that the Buddha (of the Mahayana) utterly and absolutely denied the Self is to fly in the face of very weighty Mahayana doctrinal statements by the Buddha across a number of highly respected sutras. As for the Buddhist Tantras, they also on occasion speak affirmatively of the Great Self, which is the Primordial Buddha («Adibuddha«) himself. Gethin, Rupert. Foundations of Buddhism. Oxford University Press, 1998.